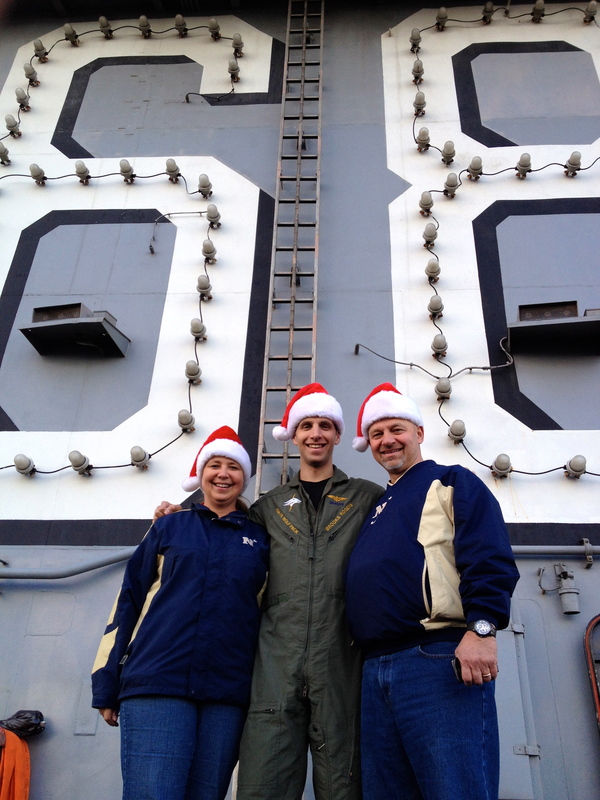 Merry Christmas from the USS Nimitz! Redgie and I are currently on a “Tiger Cruise” on board the USS Nimitz aircraft carrier! A Tiger Cruise is when a Navy ship that has been on deployment is on its way home and along the way friends and/or family members of some of the personnel assigned to the ship come on board and sail to the home port with their “sponsor” (military personnel responsible for their “Tigers”.) Redgie & I met Brooks in Honolulu, HI on December 3rd when the Nimitz pulled into the Navy yard at Pearl Harbor, and on the 5th we checked onto the Nimitz as “Tigers” and began our cruise towards San Diego. We are having a blast spending time with Brooks, learning about his experience as he was deployed with the Nimitz in the Middle East these past 8.5 months and learning a lot of interesting facts about life on board an aircraft carrier! We will arrive in San Diego on Thursday, December 12, 2013 where Brooks will be reunited with his wife Christina after his long absence. 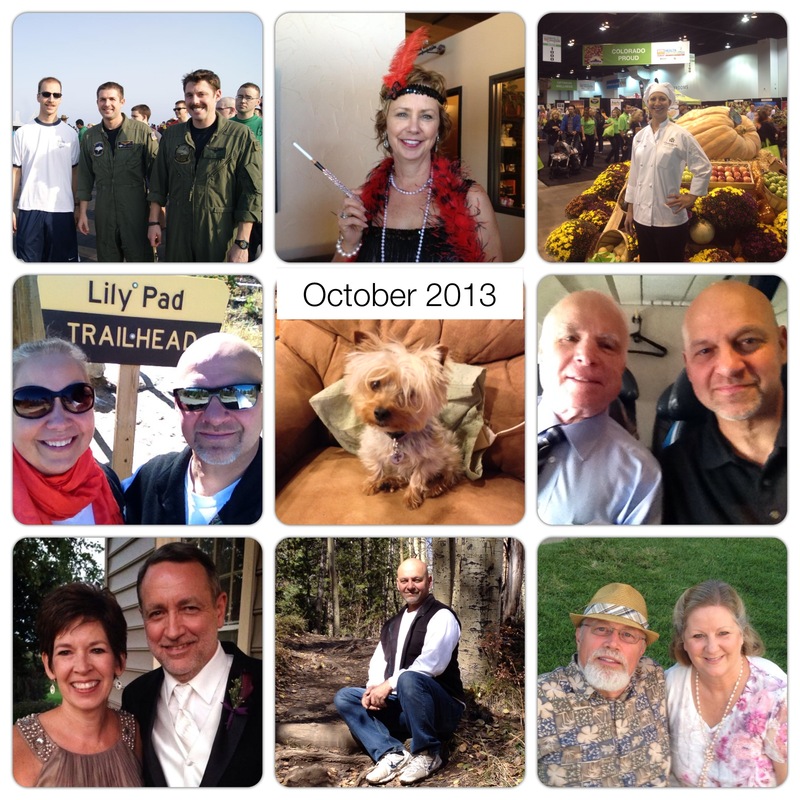 A quick review of 2013 reveals quite a bit of change and travel for us in 2013. 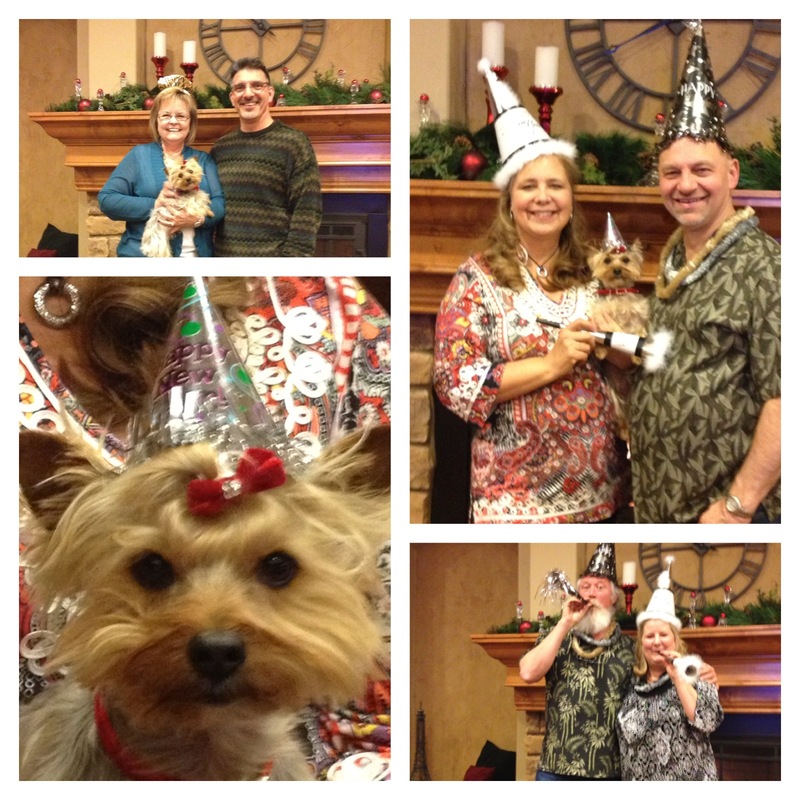 On December 31 we rang in the new year with our annual New Year’s Eve party at the “BBH”. A lot of friends and family (including my sister Vickie, her husband Jim & their youngest son Justin as well as Brooks & Christina who were visiting from CA) were there to celebrate with us. Also in January I accompanied Redgie to Orlando where he had to attend a conference. 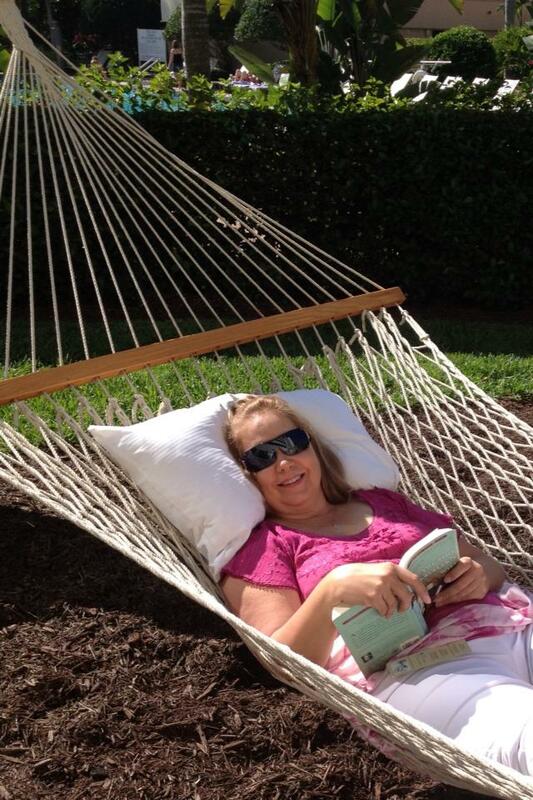 We stayed in the Ritz Carlton and enjoyed a few days of warm weather (and at least for me) a few days of relaxation! In February Redgie went on his annual Myrtle Beach golf trip with several of his buddies from Altoona, PA. The trip usually lasts around 5 days and in that amount of time they usually play 8 rounds of golf. Redgie looks forward to the fellowship and fun of that trip all year long. 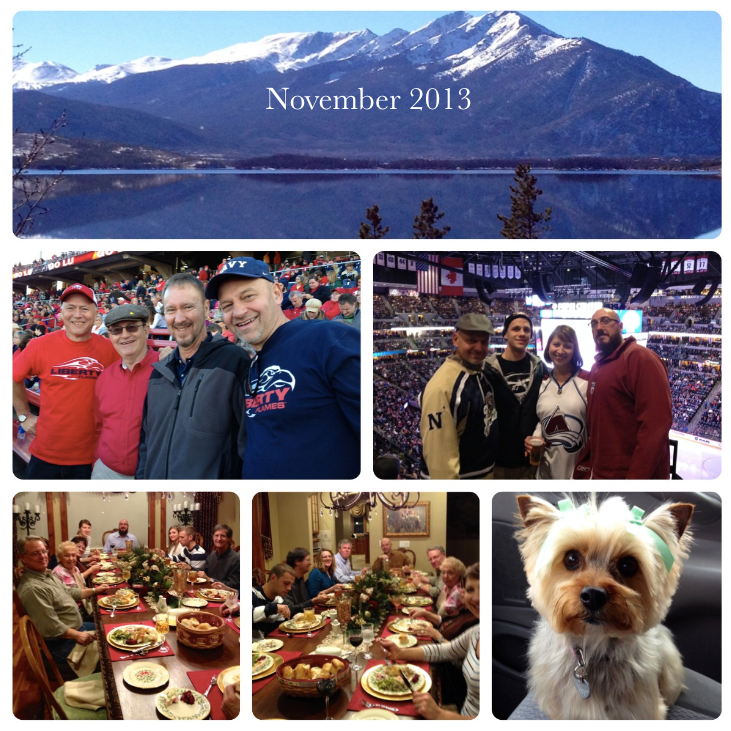 March was a red-lettered month as that is when we officially finished the remodeling of our condo in Dillon, CO. Ever since we purchased it in June 2012 we had been working on remodeling the condo from the bottom up! Thank goodness for the help we received from our friends Ray & Donna Kent or else we may not have finished the job in time for our first vacation rental guests who checked in on March 7, 2013. 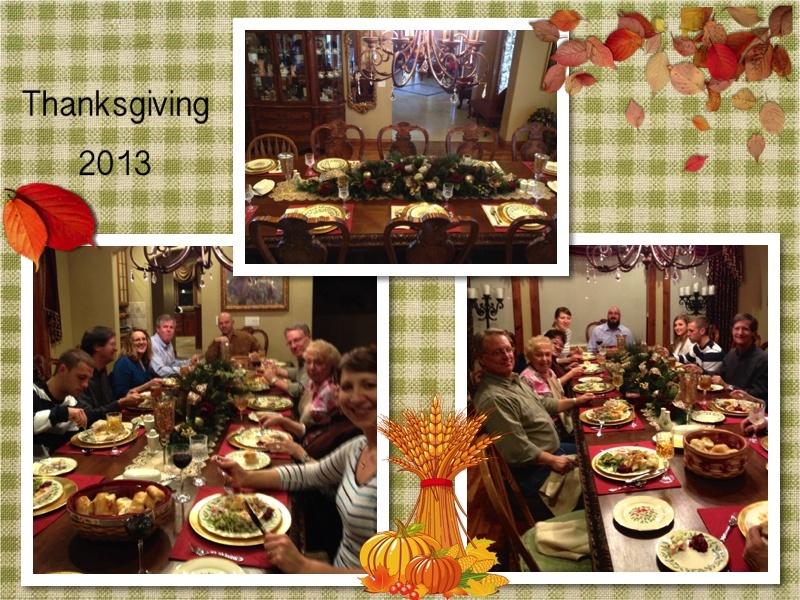 We are very pleased with how everything turned out and our guests seem to have been very pleased as well! To date we’ve received 18 five-star reviews on our listing at http://www.vrbo.com/382 ! Also in March we spent Easter weekend in San Diego with Brooks and Christina before he left on his deployment. We were glad for the opportunity to spend some time with them before Brooks left. The Nimitz carrier strike group was supposed to return home from this deployment in October but on September 1 they were diverted to the Red Sea because of the situation in Syria, which extended their deployment until December. Christina stayed busy with frequent trips due to work obligations and personal reasons. In fact in September she went to Africa with a group of family & friends and climbed to the summit of Mt. 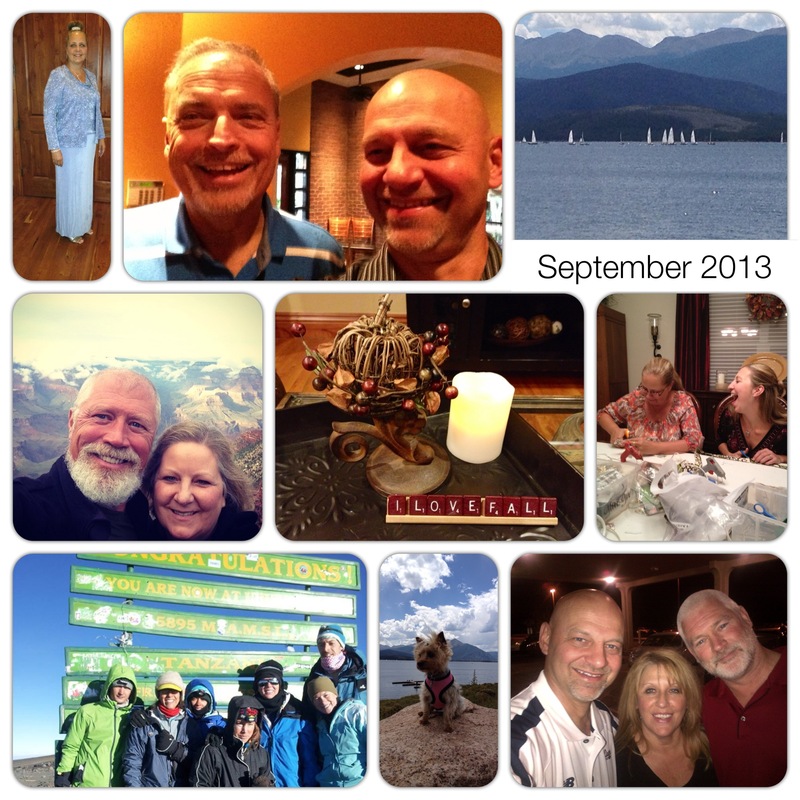 Kilimanjaro ….quite an accomplishment! In June we took a short trip to Islamorada, FL with Redgie’s company Perdue Farms, Inc. We got to stay at the Cheeca Lodge Resort which was right on the beach and very nice. 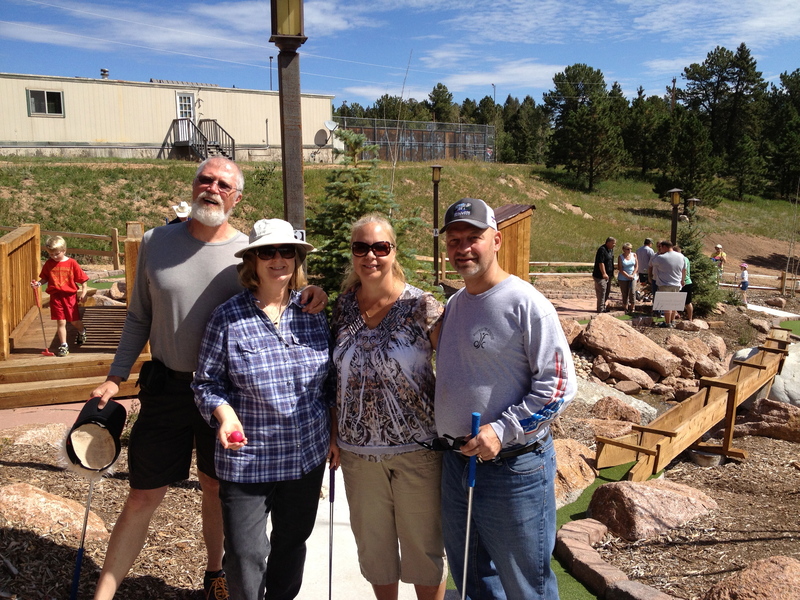 Also in June we hosted a BBQ lunch up at our Dillon condo for the “Colorado Iron” biker group of which Redgie is a member. 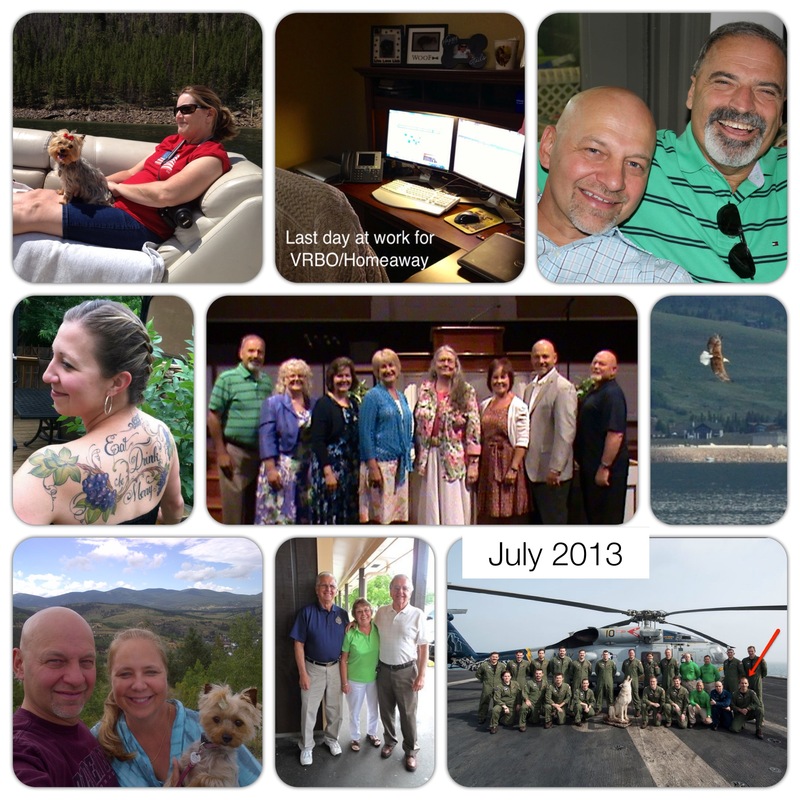 We spent the 4th of July in Dillon again this year with Ray & Donna. Every time we get to spend some time in the condo we pinch ourselves to make sure we aren’t dreaming! The condo is so comfortable and the view of the lake & the mountains is breathtaking! Immediately following Independence Day Redgie & I flew down to Hot Springs, AR to attend a reunion of the “EnPsalms” which is the vocal group that Redgie was a part of during his years at Liberty University. Seeing all of his old friends from the group was wonderful….in some ways it didn’t feel as if hardly any time had passed since the last time we were with them. 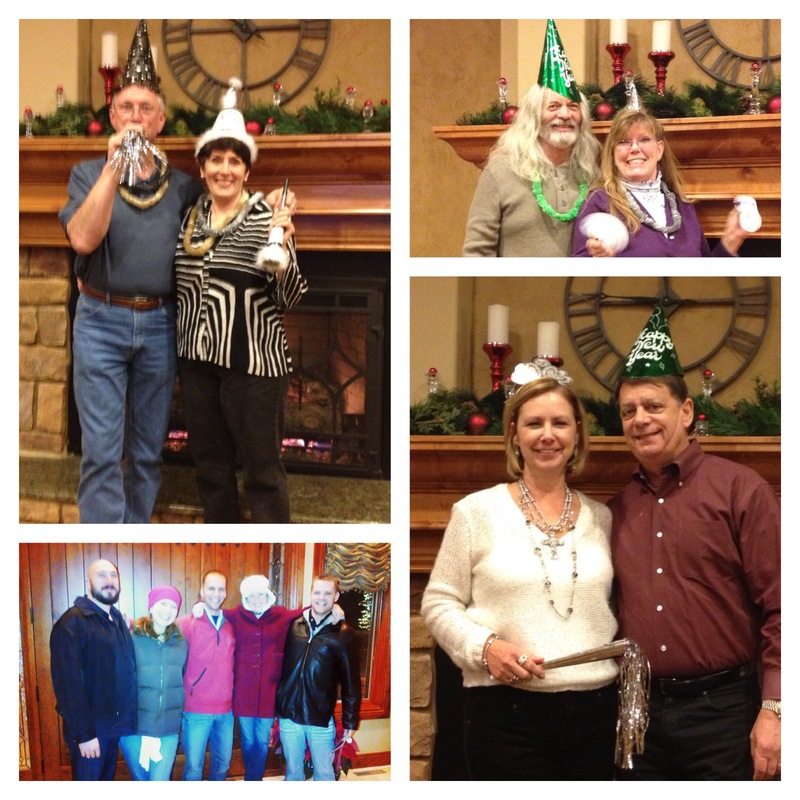 The weekend flew by with lots of laughter and good music, fellowship and love. 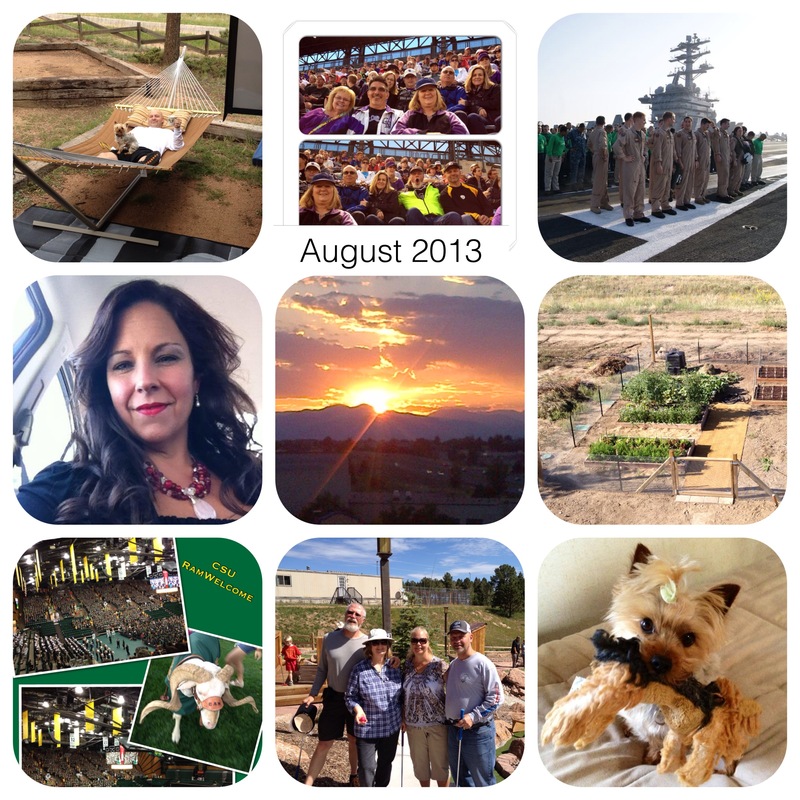 In August Brady experienced a big change in his life….he transferred to Colorado State University! He had decided that he wanted to experience life on a large university campus during his last years at college. While we were happy that he was going to be closer to home we were also disappointed that we would no longer be attending football games at Augustana College. We’re crossing our fingers that Brady might be able to try out for & win a walk-on spot as a kicker on the Rams football team next year. Brady is studying Business Administration at CSU. 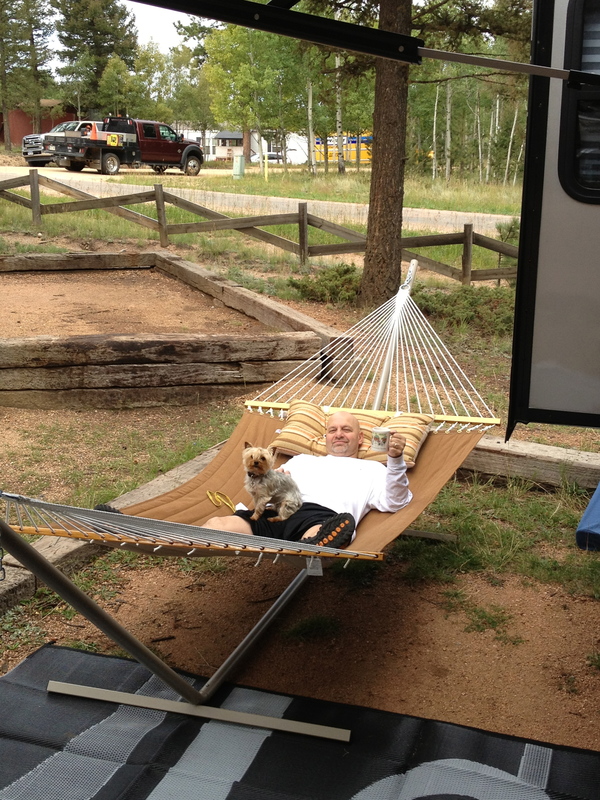 We went RV camping at Golden Bell camp in Divide CO with Dave and Lynn over the Labor Day weekend. Later in September Redgie traveled to Altoona to participate in the annual Precious Life Gold Tournament…another time of reunion and fellowship with his Altoona buddies. 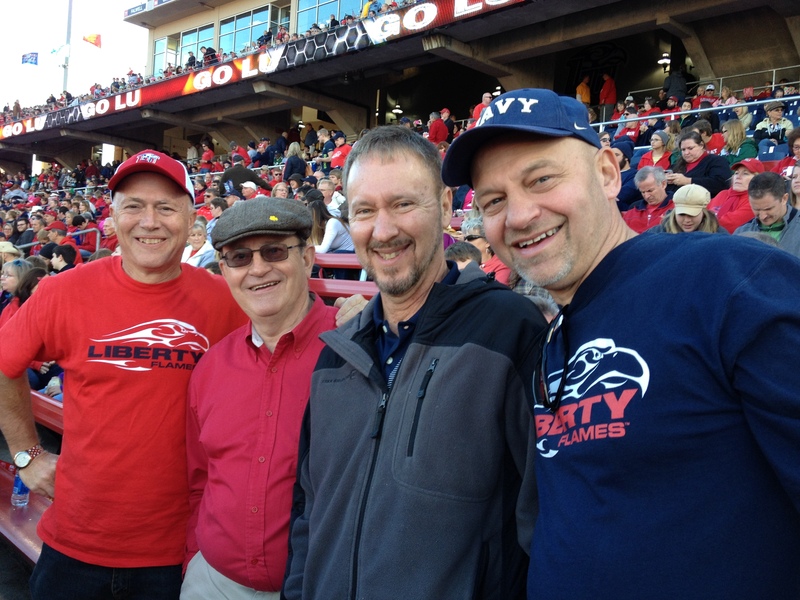 In November Redgie traveled to Lynchburg VA to attend a football game at our alma mater Liberty University. And so we are back to the beginning of this letter where Redgie & I are on the Tiger Cruise for another three days. 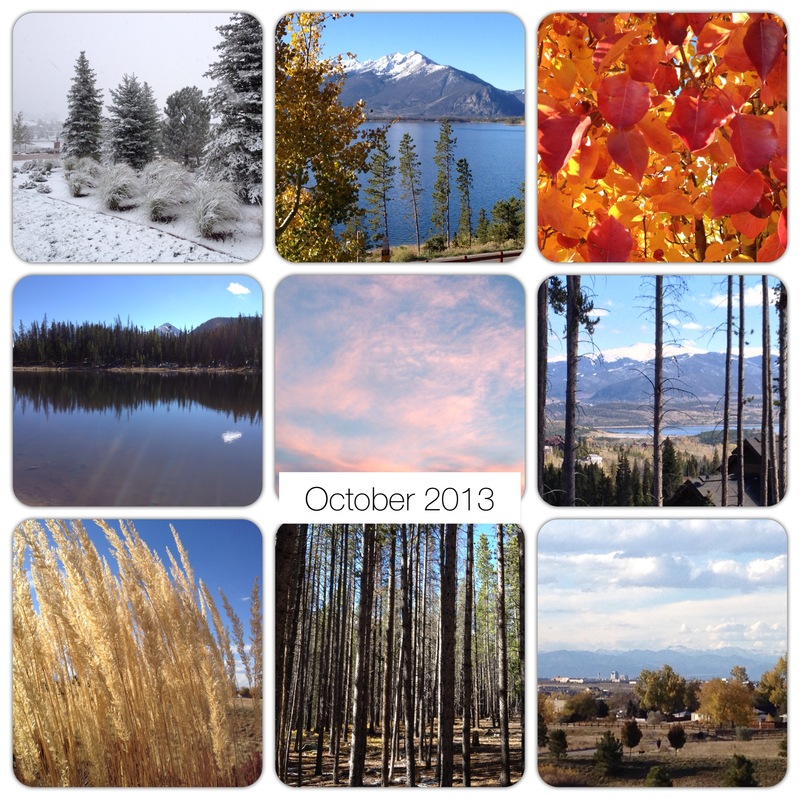 We fly back home to Colorado on December 13 and will be home for exactly one week before we have to leave again! This time Redgie, Brady & I will be flying to Ft. Lauderdale where we will meet up with Brooks & Christina, my Mom & Dad and my sister Vickie, her husband Jim & their youngest son Justin. We will all be boarding a Royal Caribbean ship (the Liberty of the Seas) for a Holiday cruise that will stop in Belize City and Cozumel before returning to Ft. Lauderdale on December 26, 2013. Unfortunately, Shannon & Robert are not able to join us on our holiday cruise. Shannon has spent this year developing her Personal Chef business. She has a couple of regular clients (including Dave & Lynn at the BBH for whom Shannon cooks on a weekly basis.) She is hopeful to be able to acquire a few more regular clients. She & Robert still live in Parker not far from us. As always, at the close of this letter we send our love & wishes to you all for a wonderful and blessed Christmas holiday. May we always remember the Reason for the Season, the birth of our Lord Jesus Christ.